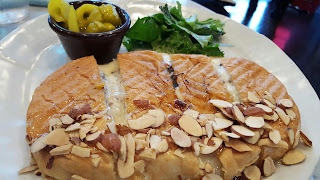 We visited cafe MAMAS recently, a must go for panini lovers. They serve decent brunch and is quite popular with the locals. 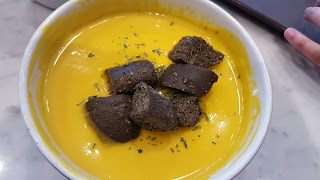 We ordered some of the recommended dishes like 허니까멍치즈파니니 (honey camembert cheese panini, 8,500 won), 단호박 스프 (sweet pumpkin soup, 6,500 won) and 호두바나나쥬스 (walnut banana juice, 4,000 won). Other recommended dishes are the ricotta cheese salad and mozerella tomato panini. The honey camembert cheese panini is flavourful, crispy on the outside. The honey and cheese complements each other. I am not a fan of pumpkin soup but the one sold here is delicious. 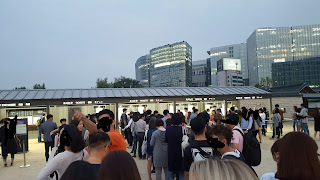 There are a few cafe MAMAS stores in Seoul but the most accessible one I guess will be the branch at Times Square 4th floor, yeongdeungpo station. Can head over to the underground shopping area after dinning. 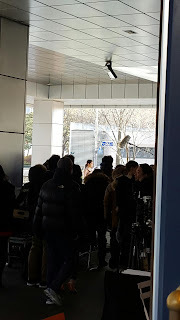 We visited the gwanghwamun branch and spotted the filming of My Venus. 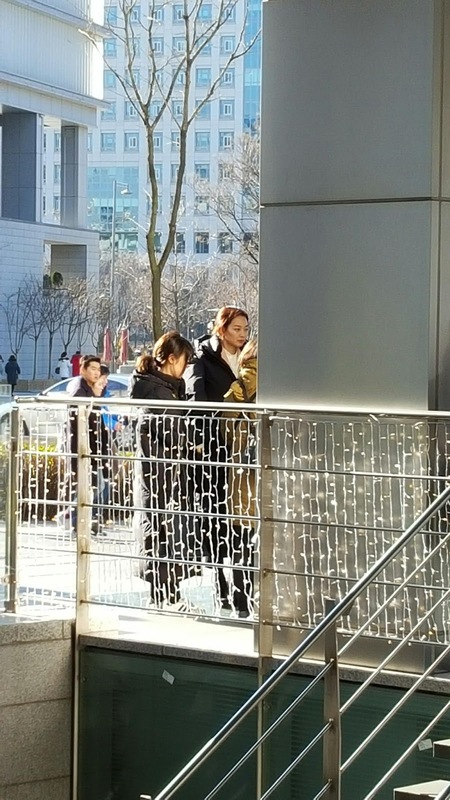 Shin Min-A is really tall and charismatic. We have chanced upon numerous filmings in korea. The place that we bumped into most artists is the cafe (holly's or pasccuci) at Yeouido near KBS.